I’ve received several letters asking me what have I been up to for the last few months. Well, I usually take a much needed winter break to rest my soul, mind and body after a long planting and harvest season. This past winter, my days were filled with snow and ice and my nights were filled with wine and a roaring fire. And a stellar book called Kamta by Derric Moore. I began my Spiritual journey over twenty years ago. It was fraught with intense pain, confusion and the one constant companion I’ve had my entire life. Anger. I began life angry before I could identify it. I knew something wasn’t right with this world but couldn’t explain it. Anger became my best friend and lead me to solitude and anti-social behaviours which I still exhibit today. Despite the fact that Anger is thought of as a “negative” emotion, it served me well throughout my life. It prompted me to do better, to try harder, to excel in areas where others foretold my failure. It made me develop a rock hard, alligator thick skin and an air of aloofness that many mistake as nonchalance. I was able to become invisible in public and that became my greatest strength. People chatted freely around me, spilling secrets, showing their true selves and to my benefit, I soaked it up like a thirsty sponge and began my blogging career. Being black and female and NOT falling into traps in a place like America, is perhaps one of the most difficult things I’ve ever had to do in my entire life. Everyone, of all races and religions and both genders, came for me. Even the elderly. As if my ambition threatened them at the ripe age of 80. This eventually took its toll and I dropped out of the system as best as I could fearing my sanity was slipping away. The wonderful thing about hitting rock bottom is the only way out is up. I was contacted by my fellow blogger and friend asking me to read his book and write an honest review. I was deeply humbled that a poor, simple, island farmgirl was honoured with this request. and how The Universe responds to those actions. 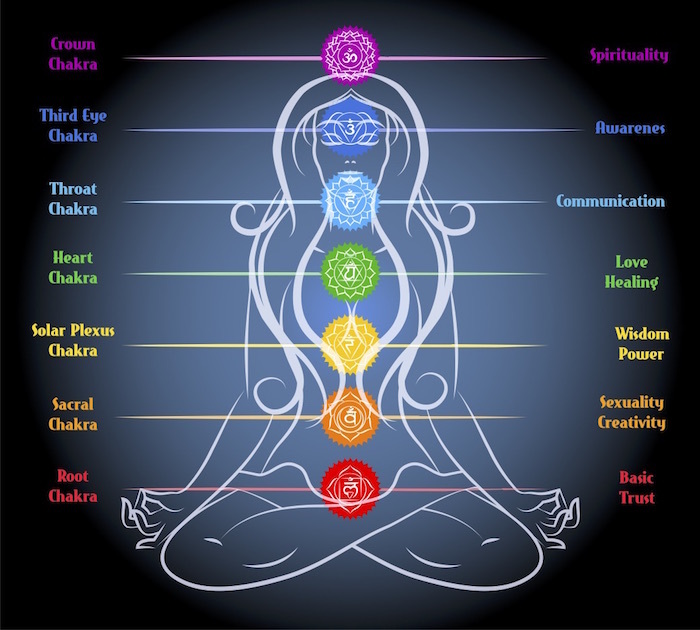 Take a look at the Chakras in the picture. Can you imagine an existence solely based on Primal Need? Imagine being around a person that lives their life for love of money. For Insatiable Greed. Pulse pounding Sexual Desire. Blood Thirsty Envy. Ignorant Arrogance and Raw Destructive Anger. What kind of energy would that person emit? What kind of parents would they turn out to be? Imagine that person having dominion over others. What kind of leader would they be? And finally, how do you think the Great Mother/Father would respond to them through the Ether? Remember when I stated that I am the First Cause? That means that I make choices based on my Free Will. Those choices then come with (negative) consequences or (positive) rewards. I’ve been subjected to both blinding pain and toe curling pleasure based on bad and good choices. But here’s the funny thing about life on this planet that KAMTA explains quite well. I would have never learned how sweet a ripe apple tastes unless I experienced a sour one. I couldn’t have loved my tiny home more til I experienced the fright of near homelessness. I appreciate my fireplace every winter once I lived through a freezing January with no heat. And I couldn’t have found some measure of healing til I had the displeasure of being wounded. Even in my darkest moments with my most formidable foe, I’m fine. And you’re (all of you, Black Family) will be fine too. We weathered the storm and those that were meant to survive did and the rest returned to the Spirit World. Life can be painful and experiences can hurt tremendously but the key is to learn from them and to reach a higher level of vibration. For those of you that need deeper understanding of self and how to tap into your own power, I highly recommend this heartfelt book by Derric Moore. This post will make some of you uncomfortable. If you are not ready to partake in this meditation/prayer session, please continue to read and learn and grow with the Spirit. Return to us when you are ready. Over the past decade, I’ve witnessed strong-minded, capable, intelligent black women and black men fall victim to an invisible force. Homes were lost due to predatory loans, jobs disappeared overseas or were given to others willing to work for pennies a day. Honest, hardworking Africans throughout the diaspora succumbed to this invisible force and because of it, I witnessed suicides, homicides, an increased dependency on chemicals and an utter lack of despair. Currently, the war on Africa and Africans has become so intense yet so innocuous that many of us, even the ones who can “see”, are blindsided by the events that are taking place. Perhaps my new outlook on things came from a surprising source: A good friend of mine. This woman, with the exception of my mom, is probably the strongest, fiercest, most capable and determined woman I know. She’s not just a friend, but a sister-friend and guide for me. I’ve known her forever and her phone call the other night both startled and saddened me. She admitted that she was suffering immensely from this system and didn’t wish to live anymore. After feeling my heart skip about 10 beats, I managed to compose myself and listen very patiently to her pain and feelings of hopelessness. Then I thought to myself, If someone like her can be driven to the brink, then the rest of us don’t have a chance. After we hung up, I thought about her all night long. In the morning, after much contemplation and a dream that foretold the future of this stolen planet, I knew that this meditation/ prayer must be done. “Is it too late for us“? Each opportunity that The Most High presents to us, whether it’s a job that finally fits in with our child-care/ elder-care schedule, a new home that we can pass on to our children to help them build wealth, a new and budding business venture that holds promise or a black owned charter school to educate our children in our traditions…each and every time that invisible force has permeated its way into our lives and torn us asunder. I’ve witnessed such hostility and rage directed at our people that we’ve been forced to do things that once were unimaginable. Black farmers, worldwide, that once were the pinnacle of independence are going out of business in record numbers to the point that they are now non-existent. Homes that we once held dear and watched our children take their first steps are being taken away from us (research the truth behind Hurricane Katrina and the Haitian Earthquake) and are being sold to the bankers for $1.00 USD. Our children are hungry, cold, scared and we, the Chosen People of God, are once again left defenseless and fighting against this invisible force. I have come to the conclusion that this force, this world-wide business of black slavery and genocide must be destroyed by any means necessary. Unfortunately, we have no weapons that cannot be rendered useless. Our enemies and their relatives have surpassed their father’s expectations of brutality and madness. They control our food. Our water supply. Our heat. Our clothing. And, yes, they control our very lives. They still expect us to show them undying allegiance and everlasting love. I’m saddened that we, the perpetual doormat of the entire world, still love them and have hope that one day they will change. That’s is our greatest strength and our biggest weakness…our undying empathy for demonic entities. I no longer have that hope or that empathy. And that’s why they must be destroyed. We have something so great and so mighty inside of us that this invisible force that governs the world is willing to spend obscene amounts of money to recruit as many nations as possible to keep us from tapping into that mighty power. The power that I speak of is the power of The Most High, the Original Peoples of Ma’at, The Alpha and Omega Melanin Peoples of the Planet. IT HAS ALWAYS BEEN FROM THE VERY BEGINNING ABOUT US AND IT WILL END THAT WAY…ABOUT US. It is time for us to reclaim our solar power and wipe these creatures off the face of the earth. I ask those of you that are ready to take the next step in our resistance to partake in this Prayer/ Meditation. We all know that words have certain vibrations. The language that we’ve come to know as English is naught but a coded, bastardized, occult spell-caster that keeps us downtrodden, asleep and psychically disconnected. Since we’ve lost our Mother Tongue during the Maafa and have been “put to sleep” by ways of mentacide, poison food, fluoridated water, arsenic in the air and on our clothes, soundwaves from the tel-lie-vision and music, we have no choice (for now) to use Drakkor’s words. But…we’ll charge his words with our African Spirit and use it against them. Mat 18:19 When two of you get together on anything at all on earth and make a prayer of it, my Father in heaven goes into action. Instructions: Please mark this date on your calender. 1. On Tuesday, April 15th, 2014, a blood moon shall take place. On Monday, April 14th, drink lots of water to flush impurities out of your system. Be sure that the water is filtered and NOT fluoridated. 2. Find a quiet spot where you feel most comfortable and will not be disturbed. 3. Sit down where you are most comfortable, light a candle and have fresh water in a pitcher or cup. You will also need a clean, empty bowl to pour the water into. 4. Close your eyes and try as best as possible to banish all conscious thought from your minds. “I pray for The Most High/ Eloheem/ God/ Allah/ Yashua/ The Great Spirit/ Mother Nature/ The Ancestors who Created Life (insert whatever name you feel most comfortable using. This is NOT about religion but Spirituality) to hear my cries and pleas for help. The sons and daughters of Africa need you more than ever. We have been beaten down, stripped of our inner selves and have forgotten who we are. We pray that you’ll hear us on this night of the Blood Moon. In the Spirit of our Ancestors and the Spirit of Ma’at, we beg you for justice. We beg you for healing. We beg for protection. We beg you for strength. We’ve been put into a deep slumber by a Disagreeable and Anti-Nature force and need your cosmic help and divine intervention to awaken us. On this night, the night of the Blood Moon, we ask that you guide us in our illumination so we can vanquish our enemies from the planet. Since we are currently unable to fight for ourselves, we ask your Divine Light to give us, the sons and daughters of Africa, justice in the form of Retribution. We pray for Truth. We pray for Harmony with Nature. We pray for Reciprocity. We pray for Righteousness. We pray for Strength. And we pray for Justice. Let our enemies fall by their own twisted hand. Let their minds escape them and their tongues become twisted in their mouths. Let their eyes fail them and their bodies grow frail and wither away. Allow them to perish in the same manner that they have perished others. Let every diabolical scheme that they concoct be foiled by their own karma. May their homes be burned and their crops lost. May they become enveloped in the sickness that they have designed for others with no hope for a cure. Let their cries for help fall on deaf ears and their tears go unnoticed. May they thirst but be given no water. May they grow hungry but be given no bread. 7. Then, perhaps the most important part, visualize our enemies vanishing from the planet. Literally play out the scenarios in your mind. Why you ask? Because if you can see it in your mind, it has already taken place in another dimension. As you say this prayer, simply watch for coming signs that Nature has heard our cries. It will come in many forms. An earthquake here. A new “study” claiming their rising infertility there. A civil war that breaks out amongst them causing casualties…Mass suicides…the possibilities are endless. I shall ask for something that I’ve always wanted for them: Spontaneous Combustion so I’ll be on the lookout for that. Sometimes it will shock you how ACCURATE what you’ve asked for will come true. Do not be frightened by it. It is simply the Universe responding to your wishes and commands. Say this prayer often, especially on the days of the Full Moon. When you feel your melanin energy at its most potent, say this prayer. When you witness injustice, come home and say this prayer. When you have been victimized and feel helpless and defeated, say this prayer. The Universe will hear you and respond accordingly. Please be patient. She acts on Her own Divine free will. The more Melanin Peoples that say and do this ritual, the more potent it shall become. Please pass this on to any and all Africans throughout the diaspora who want justice and are READY for change.